Delivering a more immersive experience, the Philips 6550 range will change the way you watch TV. 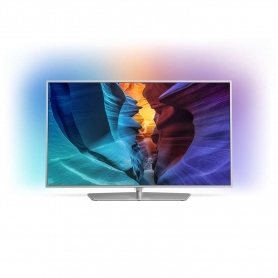 The brand’s unique Ambilight technology lights up your room to match what’s going on on-screen. The range also includes 40- and 50-inch TVs. Relax and unwind whilst watching your favourite films and TV shows in Full High Definition clarity. 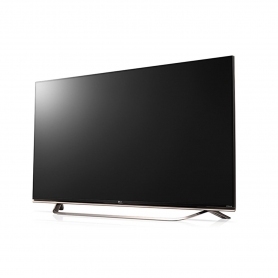 The Philips 55PFT6550 delivers incredible picture quality, with a 1920x1080p resolution enhanced by award-winning technology. Picture quality is based on four perceivable elements: motion, contrast, colour and sharpness. The award-winning Perfect Pixel HD Engine has been designed to enhance these elements and give you a picture quality higher than that of other HD models. Get the perfect picture night or day thanks to Micro Dimming Pro. A light sensor and innovative software analyse the picture and optimise the contrast based on the light in the room. Enjoy fast-paced sports and action films in all their glory with Perfect Natural Motion technology. By increasing the number of frames from 24 to 100 per second, you won’t miss a moment of the action. With Freeview HD built-in, you can also get a wide variety of free-to-air digital channels without the need for a separate box. The 55PFT6550 is about more than just the picture on the screen – discover a more immersive experience with Philips Ambilight. Using LEDs situated along three sides of the back of the TV, Ambilight creates a glow on nearby walls. This radiating light makes your screen feel much wider as it matches the colours and follows the action on the screen. Change the intensity of the light and speed of the colour change to suit what you are watching with the various Ambilight modes. Use the relax mode for softer colours when you are winding down after a hard day at work, or the immersive mode for bright colours and fast colour changes – ideal for action films. Gain access to thousands of movies, games and songs on your TV from Google Play™, YouTube™ and apps such as Netflix, BBC iPlayer, BBC News and BBC Sports. The simple and intuitive Android interface makes finding content easy, and voice control allows you to find your favourite films or check the weather in seconds. 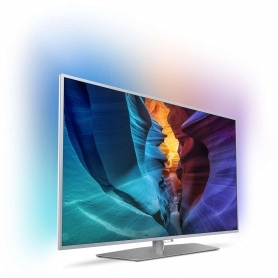 This Philips LED TV is also Google Cast Ready. Send your favourite entertainment apps— movies & TV shows, music, games, sports and more— from your Android or iOS device, Mac or Windows computer, or Chromebook straight to the TV. 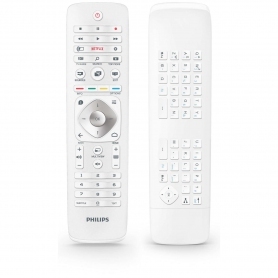 Buy the Phillips 55PFT6550 today and discover a truly immersive entertainment experience.